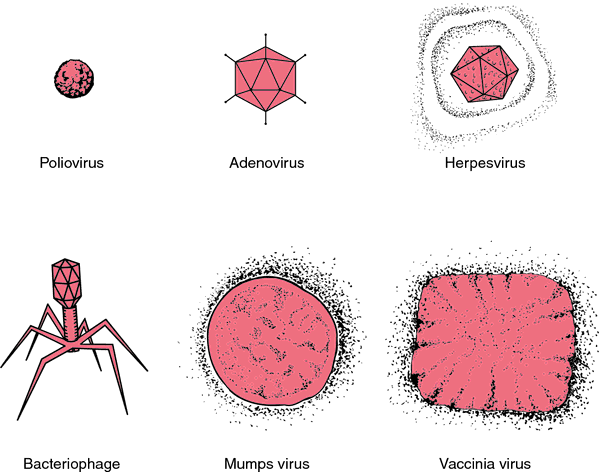 a lentivirus that produces an acquired immunodeficiency syndrome-like disease in nonhuman primates. The cytopathological changes caused by SIV are similar to those caused by the human immunodeficiency virus (HIV). 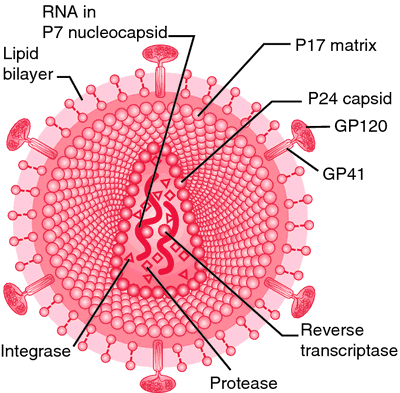 SIV also shares with HIV a group of genes lacking in other retroviruses, and animals infected with either virus experience a similar decrease in the number of CD4+ lymphocytes. Effect of bacterial pneumonia on lung simian immunodeficiency virus (SIV) replication in alcohol consuming SIV-infected rhesus macaques. Temporal and anatomic relationship between virus replication and cytokine gene expression after vaginal simian immunodeficiency virus infection. Genetic and ultrastructural characterization of Enterocytozoon bieneusi in simian immunodeficiency virus infected and immunocompetent macaques. Simian immunodeficiency virus infection in a patas monkey (Erythrocebus patas): evidence for cross-species transmission from African green monkeys (Cercopithecus aethiops sabaeus) in the wild. Anonymous survey for simian immunodeficiency virus (SIV) seropositivity in SIV laboratory researchers -- United States, 1992. Simian immunodeficiency virus infection in free-ranging sooty mangabeys (Cercocebus atys atys) from the Tai Forest, Cote d'Ivoire: implications for the origin of epidemic human immunodeficiency virus type 2. In animal studies, both are active against wild-type and drug-resistant variants of HIV and the simian immunodeficiency virus. CDC recently reported on two laboratory workers who had seroconverted against simian immunodeficiency virus (SIV) following work-related exposure to the virus ( 1 ). In this prophylactic non human primate study, two out of five monkeys immunized with the vaccine were able to "functionally cure," or fully control and suppress viral replication over time after challenge with a highly pathogenic simian immunodeficiency virus (SIV), and have shown stable or increased CD4 counts compared to pre-challenge baselines Additionally, the death of several monkeys in the control, unvaccinated group showed that VRX1116-based vaccination was capable of conferring a survival benefit following SIV infection. Researchers from the Oregon Health & Science University in the US proved the effectiveness of the vaccine by conducting experiments on monkeys infected with simian immunodeficiency virus (SIV), a retrovirus that causes AIDS in non-human primates. Washington, December 19 ( ANI ): Human immunodeficiency virus (HIV) is thought to have originated from chimpanzees in central Africa that were infected with simian immunodeficiency virus (SIV), a retrovirus.